The builder also faces a Supreme Court judgement on his €1 million fine and three-month prison sentence tomorrow. THE RESIDENTS OF Priory Hall have welcomed today’s court ruling which declared builder Tom McFeely a bankrupt in Ireland. The developer behind the ill-fated Donaghmede complex had tried to argue that his main business interests were in the UK but RTÉ News reports that Justice Elizabeth Dunne dismissed that claim, stating his base was the Republic of Ireland. Earlier this month, the High Court in London upheld a decision to deny a UK bankruptcy because proceedings were already underway in Ireland. According to Newstalk, the petition against the 63-year-old was brought by Theresa McGuinness from Rush in Dublin over the failure of his former company Coalport to pay a six-figure award over structural faults to a property. Ursula Graham, a spokesperson for the displaced Priory Hall residents, said that she now hopes that McFeely will be compelled to return to the sub-standard apartment blocks and complete remedial works. The 256 residents are still housed in temporary accommodation and are locked into a resolution process with various banks and the Dublin City Council. They are hopeful that the Supreme Court will uphold the three-month prison sentence and €1 million fine handed down to McFeely last year. The High Court judge found that McFeely had failed to comply with orders to fix the fire safety risks in the 187 apartments. The premises’s shortcomings resulted in the evacuation of all residents last October. 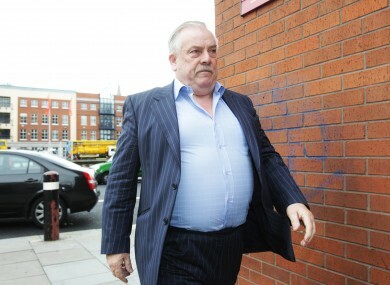 Email “Priory Hall developer Tom McFeely declared bankrupt”. Feedback on “Priory Hall developer Tom McFeely declared bankrupt”.